If you think plain old doughnuts count as a guilty pleasure, you may want to look away for this one. For its one-year anniversary, Brisbane, Australia's Doughnut Time commissioned about 120 crazy extravagant doughnuts that are each probably more food than you eat in a day. The shop got twenty bakers each to make about six unique doughnuts for the occasion, resulting in what are definitely the most over the top doughnuts you'll ever see. 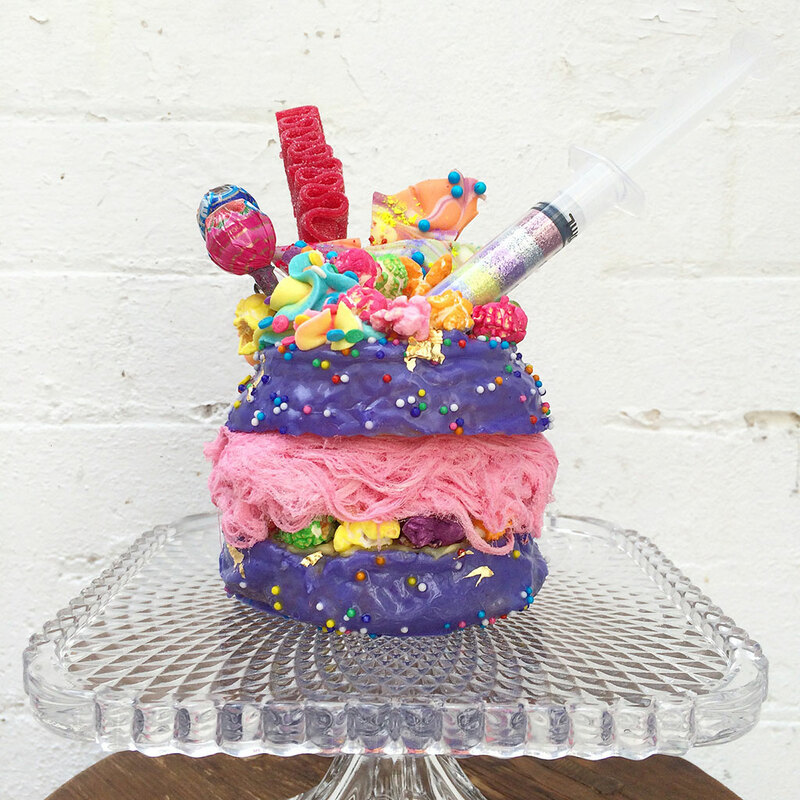 There's a deliciously decked-out doughnut for pretty much everyone. Some of the bakers took the rococo approach, making gorgeously frilly, tiered doughnut cakes in fairy princess colors and bright pink strawberry doughnuts with perfectly pastel meringues. Others were more inspired by the fried-ness of it all, creating syrupy doughnuts topped with churros and chocolate-drizzled doughnuts covered in potato chips. Some bakers took the sophisticated route, making doughnuts fit for an opera-going aristocrat: a matcha green tea doughnut with caramel popcorn, a coconut and raspberry confection, and a white chocolate ganache and fruit salad cheesecake doughnut with edible flowers. Other bakers embraced the delightfully kid-like feeling of joy doughnuts can bring out in us, with creations like a skittles-topped cotton candy doughnut and a purple doughnut with candies sticking out of it and sprinkles. Basically, as long as you don't care about being an alive and healthy person at all, these doughnuts are a dream come true. If you aren’t going to be in Brisbane soon you’ll be stuck drooling over them on Instagram, which you’ll be able to find here.